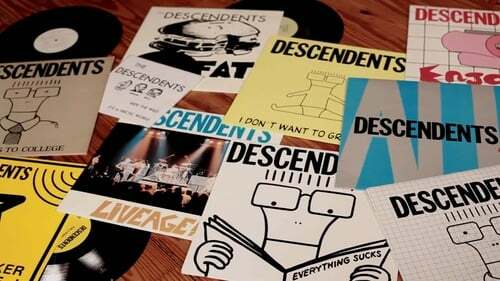 Long before Green Day and Blink 182 inflicted punk-rock's puncture wound on the map of mainstream music, the Descendents were at home concocting the perfect mix of pop, angst, love, and coffee. FILMAGE: The Story of DESCENDENTS/ALL follows drummer/square-peg Bill Stevenson and his 'caffeinated retardedness' as he pushes his rotating door of bandmates to 'achieve ALL,' his philosophy of going for greatness at all costs. Stevenson is a force to be reckoned with--not even grapefruit-sized brain tumors can keep him down.